Arrive at Islamabad International Airport. Meet, assist & transfer to the hotel. AM at leisure. 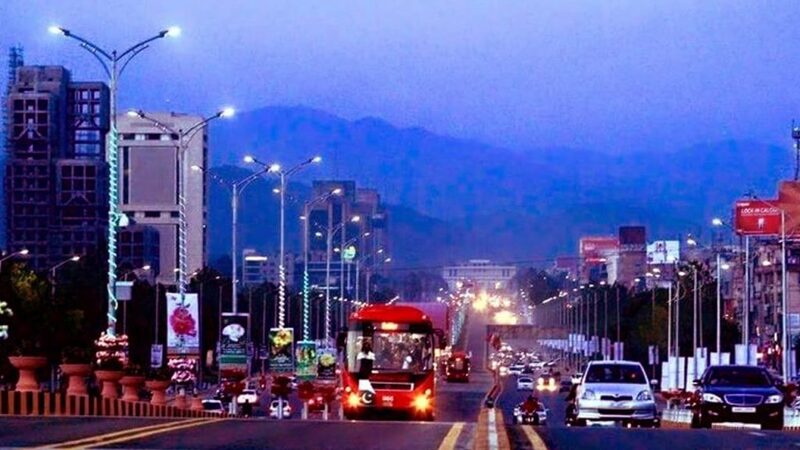 PM Islamabad city tour. 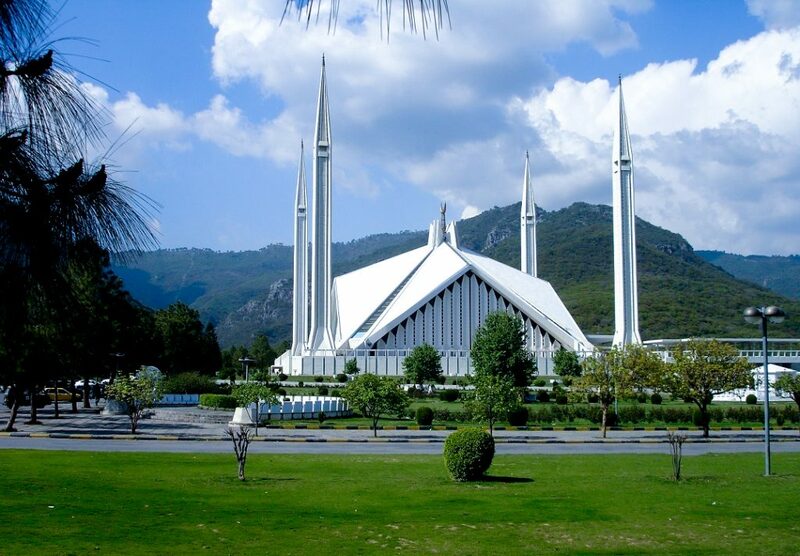 Our sightseeing tour will start from, Faisal Mosque, Shakar Parian & National monument with a trip to Damn-e-Koh, to catch an eye bird view of the twin cities. Overnight at the hotel. (Breakfast only). After Breakfast drive to Naran via Balakot. Continue to Naran after have an over view of Balakot. Balakot is the gateway to the Kaghan valley, 72 km north of Abbottabad. It is about 4-5 hours drive from Islamabad depends on the traffic in Abbottabad & Mansehra. It was the scene of a battle between the Sikhs and Muslim tribesmen in the early 19th century. The Muslim leader, Ahmad Shah Bareilly (so called because he originally came from Bareilly in India) was killed here in 1831 by the Sikhs, and his tomb is a green-tiled monument near the Kunhar River. Overnight stay in Naran. (Breakfast only). After breakfast full day to explore Saiful Muluk Lake. In summer season there are many wild flowers at the Lake and the Lake reflects Malika Parbat. In winter the lake freezes and the whole area is covered by snow. 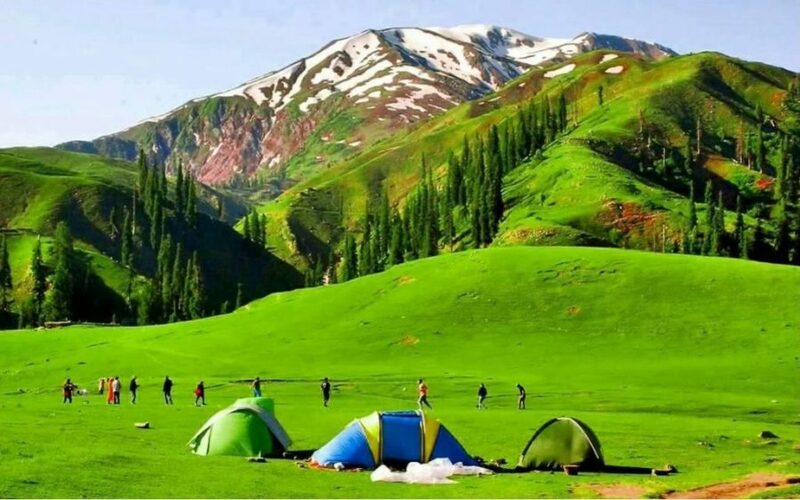 It is situated at a distance of 10 Km from Naran at an altitude of 3500 m. It provides an excellent view of the 5290 m high Malika Parbat (Queen of the Mountain). The lake and its environment have a touch of incredible about them and are breathtakingly lovely. The short ride there takes you through the top of the charming valley and then, passing thousands of streams, to the lake itself. This is a charming legend about a prince called Saiful Muluk who fell in love with a fairy of the lake. The lake is named after the prince. The best way to reach the lake is to walk but you may also take a Jeep. Overnight at the hotel. (Breakfast only). After breakfast we shall start our journey to Chilas via the famous Babusar Pass, from Naran the valley ascends for another 66 km to the Top of Babusar Pass. The British built a pony track across the Babusar in 1892 to give acces to Gilgit. Before this the only route to Gilgit was from Srinagar across the Burzil Pass. We shall be crossing the beautiful Lulusar Lake along the road. We shall be driving on the new road to Chilas, which is being completed and will be opened for all kind of traffic soon. Overnight at the hotel in Chilas. (Breakfast only). After breakfast drive to Rama via Astore. Rama is 6 km above Astore, at about 3150m. While going up to Rama the green rolling fields, knee-deep in flowers in July, purple clover, geraniums, mint and thyme, blue cornflowers and several verities of orchid. The slops above are thickly forested with huge Pine, Fir, Cedar and Juniper Trees. Rama Lake (3482m) is about 2 KM from the hotel. It is a very beautiful lake itself and having great views around, even we can see Nanga Parbat if weather is clear. We shall have two nights to explore the beautiful Rama Lake and its surroundings. Overnight at the hotel. (Breakfast only). Full day at leisure at Rama. Overnight in Rama. (Breakfast only). After breakfast drive to Skardu via Deosai Plans. 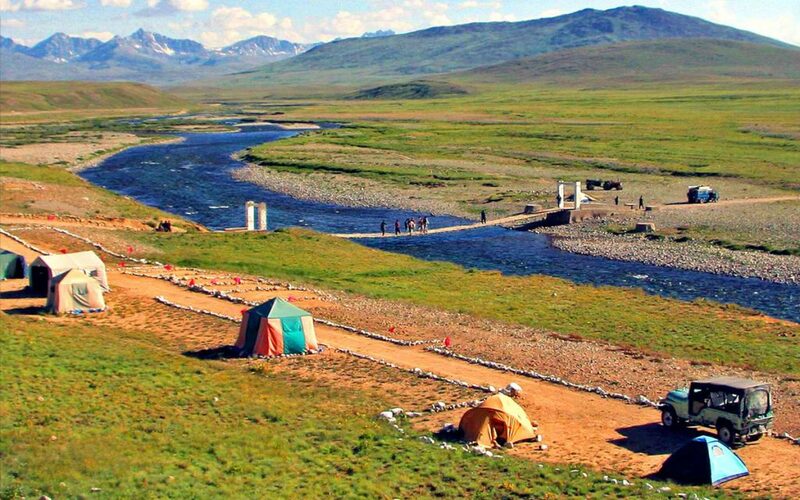 This day is rather longer day as we shall be crossing the Deosai Plateau, a treeless wilderness at 4,000m. We will have our pack lunch at Bara Pani, where we shall cross a suspension Bridge with our jeeps. Deosai Plateau is now a National Park where we have more then 40 Brown Bear, which were disappearing some years back but with the help of WWF and Government of Pakistan now the number is increasing year by year. This is the highest plateau in the world which is on 4000m and about 300 square meters long. After descending we will be crossing and over viewing the beautiful Lake Satpara. Overnight at the hotel in Skardu. (Breakfast only). 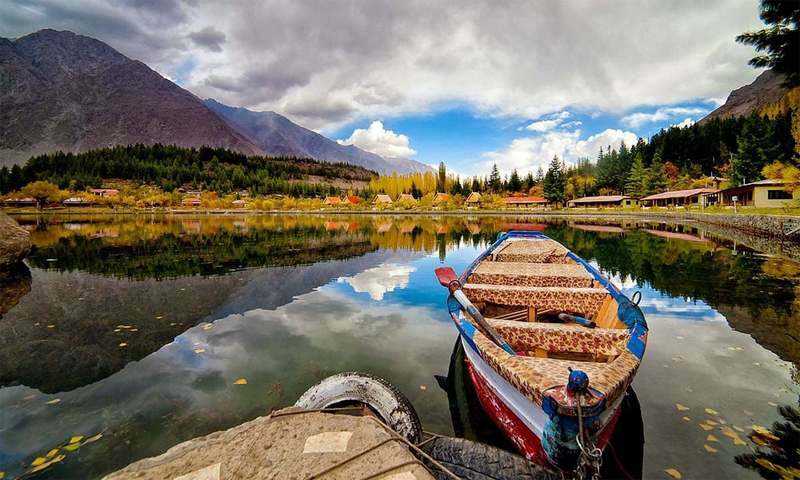 Full day to explore the Skardu and its surroundings or Shigar Valley At a height of 2500 meters, Skardu is located amidst an impressive landscape of towering mountains, deep gorges, desert, cascading waterfalls, creeping glaciers and quiet lakes. Skardu is a trekkers’ and climbers’ paradise. Skardu is in the heart of a dangerous frontier land. To its north lies the Xinjiang province of China; to the south Kashmir, to the West Gilgit, and to the east the district of Ladakh in India. Skardu is the trekker and mountain climbers’ paradise. Upon arrival transfer to the Hotel. Overnight at the hotel. (Breakfast only). After breakfast we drive to Karimabad Hunza at a distance of 330km and will take about 7 – 8 hours to reach. Overnight at the hotel in Karimabad. (Breakfast only). Breakfast at the hotel. Proceed to visit Karimabad bazar, Baltit Fort. Karimabad is the collective name for all the little villages around Baltit Fort. Named for His Highness, Prince Karim, Aga Khan, the town has a lengthy bazaar with souvenirs, bookshops, clothing stores and restaurants. Of note is the Café de Hunza, possibly the only place for a cappuccino in Gilgit/Baltistan. The view changes as one wanders up and down and one can choose to start hiking to nearby villages along water channels and trails. Baltit, with its Fort was the ancient capital of the kingdom of Hunza, until 1974. Overnight stay at the hotel in Karimabad. (Breakfast only). Breakfast at the hotel. Morning proceed for an excursion to Khunjerab Pass via Friendship tunnels and Attabad Lake, which is a full day trip from Karimabad. We shall stay in Gulmit Village (summer capital of Hunza Valley) on return from Khunjrab. 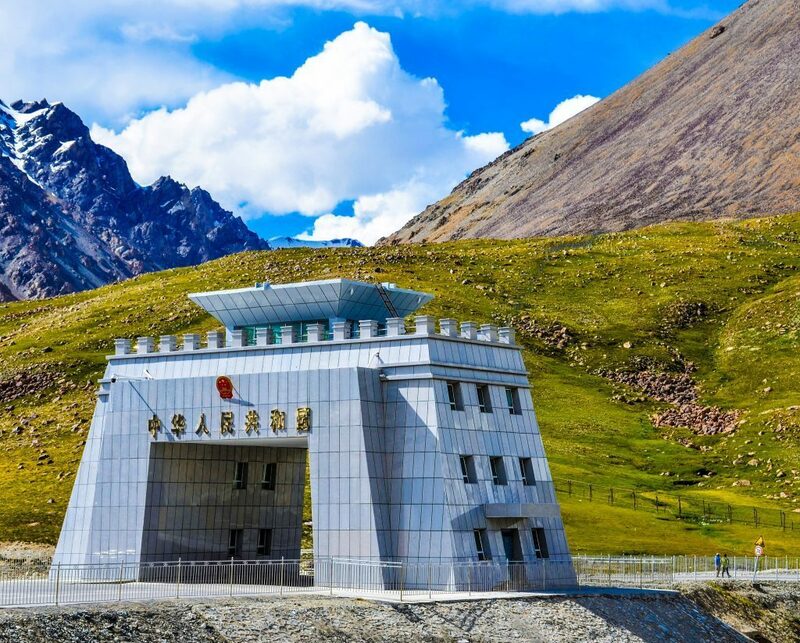 Khunjrab pass at 4,733 meters is the true border between Pakistan and China although the customs posts are at Sost and Tashkurgan. The Karakuram highway runs through the Khunjrab Pass, the highest border crossing with smooth road in the world to Tashkurgan China. Traffic is light as one can change from right to left hand driving at the top. Overnight at the hotel in Gulmit. (Breakfast only). After Breakfast we shall have a Leisure morning while exploring the area, Afternoon transfer to motor boats to cross the lake. After arrival at Attabad Lake spillway, transfer to Willy Jeeps and proceed to Gilgit. Upon arrival transfer to Hotel, and proceed for Gilgit Bazaar excursion, suspension bridge. Gilgit is the administrative center and economic hub of Gilgit/Baltistan. 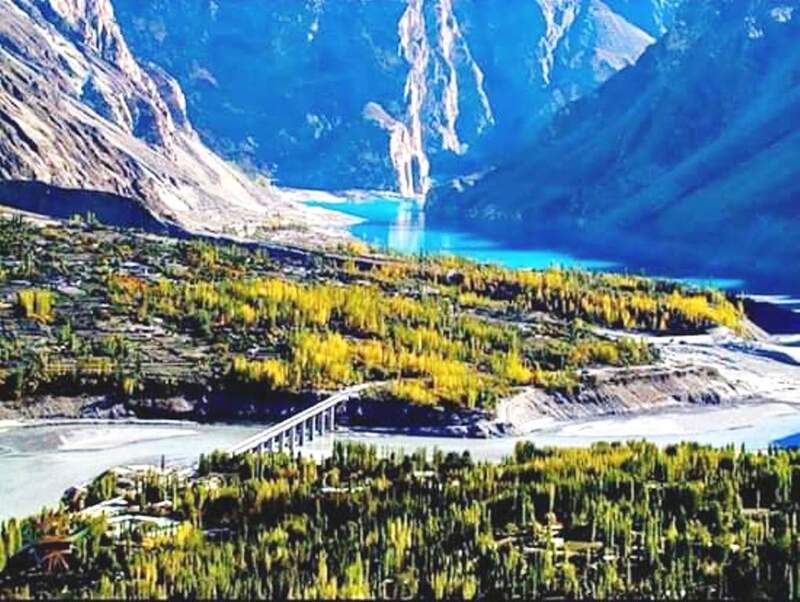 It lies in the heart of the Karakuram, at 1500metres, near the confluence of the Hunza and Gilgit Rivers. The bazaar is modernizing, from shacks to two storey cement shops, NLI Market with a selection of Pakistani, Chinese and European goods. Well worth taking home are Chinese silk, and saffron, worth its weight in gold! Gilgit is home to many freestyle polo teams, and if you are in town during a tournament you are in for an exciting afternoon of traditional music, non-stop play and free style polo match. Overnight at the hotel. (Breakfast only). After breakfast we will proceed to Phandar, will take about 6 – 7 hours. 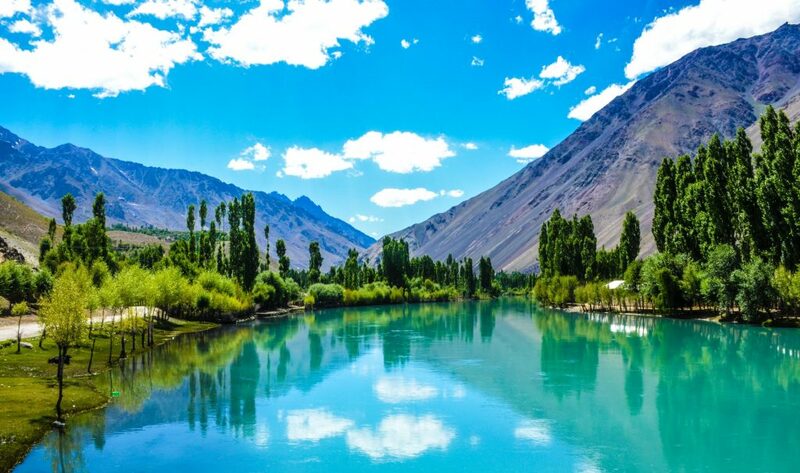 Recently Punial is the head quarter of district Ghizer, which semi-autonomous Kingdom in the past. The late Raja said that Punial is where Heaven and Earth meet. From Gilgit we travel to Sher Qila on the banks of the Gilgit River. We will wander around the village and visit the mill to get an idea of rural life in this area. Further more drive towards Shandur, we come to Phandar Lake situated before a large moraine and the fields and village of Phandar. The hardtop road ends here, but has been improved all the way to Mastuj. Over night in the Hotel. (Breakfast only). After breakfast we continue to drive to well-known Shandur Pass. The Shandur pass at 3734m above see level has become very famous for Polo between Gilgit and Chitral every year in July. Shandur is the highest play ground in the world. Shandur pass was the route taken by British Soldiers on the march from Gilgit to ease the blockade of Chitral in April 1895. 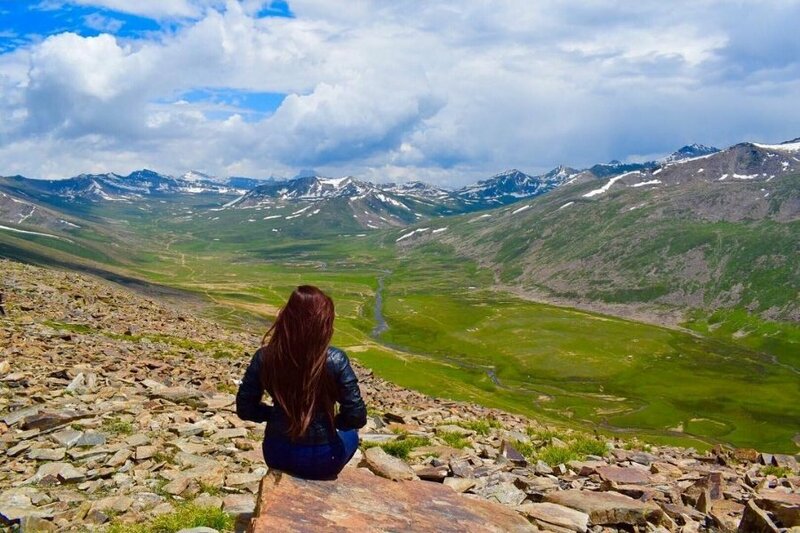 Chitral is a small valley that is overshadowed by the Trichmir Mountain, 7,600 meters high, and divided into two by the swiftly flowing Mastuj River. The city performs a base for many trekking and hiking expeditions; The Kalash valleys of the Kalash people provide an interesting diversion. The hot sulphur springs close at Garam Chashma are well known for their healing abilities and attract those who wish to be cured from varied ailments. Alexander the Great crossed through here in 326 B.C. left behind Greek customs/traditions which are still reflecting today. An early Sanskrit inscription records that the country was under King Kaipal of Kabul, a Buddhist king. After various short-lived regimes, the Mehtars came into influence, and ruled the small kingdom for more then 300 hundred years. 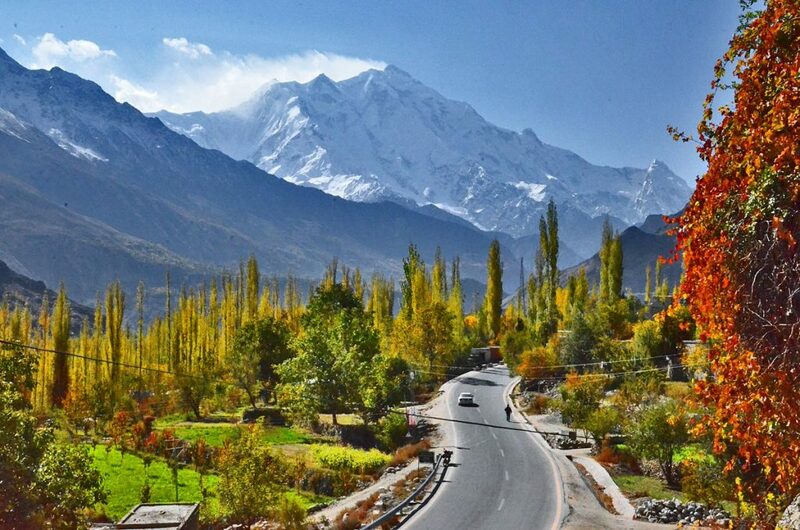 The state of Chitral was subsequently incorporated into province Khyber Pukhtunkhwa. Overnight in the hotel. (Breakfast only). After breakfast we shall proceed for Kalash Valleys excursion for two Valleys. We shall explore the three valleys of Kalasha. Muslims used the word Kafir to stand for infidels or nonbelievers. There used to exist two distinctive types of Kafirs, the Red and the Kalash (Black). Now, there are only the Kalash, existing in the three valleys south of Chitral. 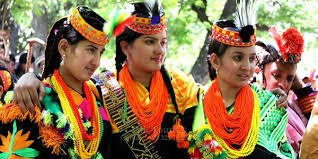 To this day the Kalash people maintain their pagan life, and one can watch their ancient dances and ceremonies. The women are out and about in their villages and will invite you for tea, to look at their unusual dresses and jewelry, and will offer to braid your hair in their fashion. As well as observing the people and their customs, one must notice the spectacular scenery. Overnight stay in Bamboret. (Breakfast only). After breakfast proceeds to visit first of the valleys opened to foreigners, Birir remains relatively unspoiled and less visited. The majority of the people are still Kafirs. One can see the village constructed on a mountain slope in a terrace-like fashion, with houses perched upon each other. Drive back to Chitral. Overnight stay at the hotel in Chitral. (Breakfast only). After breakfast transfer to Chitral airport for flight to Islamabad by PK-661 (Subject to weather flight). Transfer to the hotel. PM at leisure in Islamabad/Rawalpindi. Overnight at the hotel in Islamabad. (Breakfast only). If flight cancels then, we will drive via Lowari Pass to reach Islamabad. Upon arrival transfer to the hotel in Rawalpindi/Islamabad. (Breakfast only). NOTE:- Confirmation of flight to/from Chitral is subject to weather on provisional bookings and confirmation of seat is expected one day before. Confirmation depends on previous backlog. After Breakfast drive from Islamabad to Taxila on the Grant Trunk Road. PM. drive back to Islamabad. Overnight in the hotel. (Breakfast only). Day 19: Islamabad Transfer to Islamabad International Airport for your home bound flight. (Breakfast only).